CTG’s first production for 2019 is Heroes; Heroes is set in a French retirement home for First World War veterans. Gustav, Played by (Cam Castles) Philippe (Played by Andrew Wallace) and Henri, (played by Gary Kliger) pass their time grumbling about the staff, dreaming about young women and arguing over whether a statue of a dog is alive. They also hatch a plan to make a break for freedom – taking the dog with them. Sir Tom Stoppard adapted Gérald Sibleyras's Le Vent des peupliers for a starry West End opening, the first problem was the title. The original French means “The Wind in the Poplars”, and Stoppard was concerned that because of The Wind in the Willows. It may be confused so he changed the name to heroes. Stoppard said: “Curiously enough, I think it's also a play about the fact that we don't die. That something of us continues, even if it's just somebody's memory of us. Corporeal death is not the whole story. 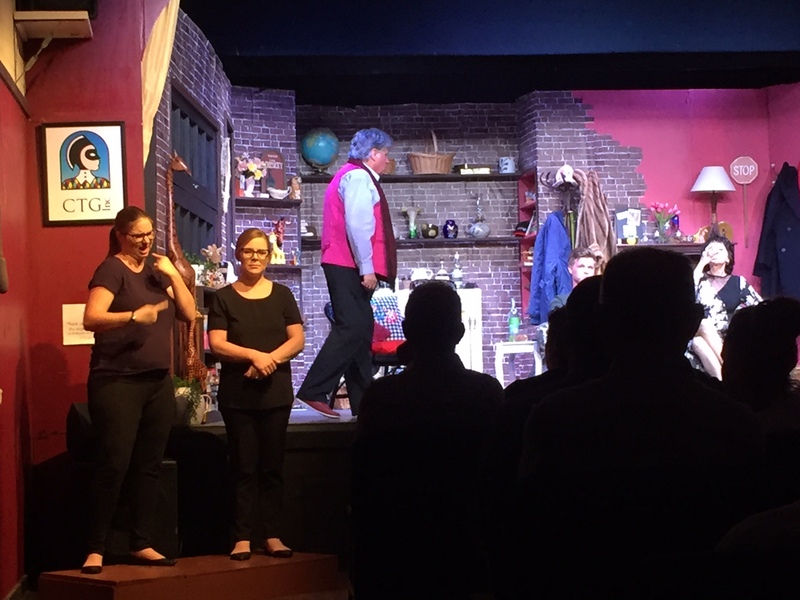 Directed by Margaret Bell it is as the above suggests a three-hander male cast plus a concrete dog; who not only do the three men think is alive; the audience will observe it does a fair amount of moving during the performance. All three actors are well respected in their performances to date and Gary and Cam are also directors; three directors in a production??! Not a problem they work together seamlessly and Andrew whose character has a piece of shrapnel in his head passes out at the most inopportune times and more frequently as time progresses. It is a poignant work with great humour intertwined and compelling to watch; expertly acted. I won’t do a spoiler of the end but you will not be sorry you go to view this production. All three give a moving and realistic portrayals of their characters. 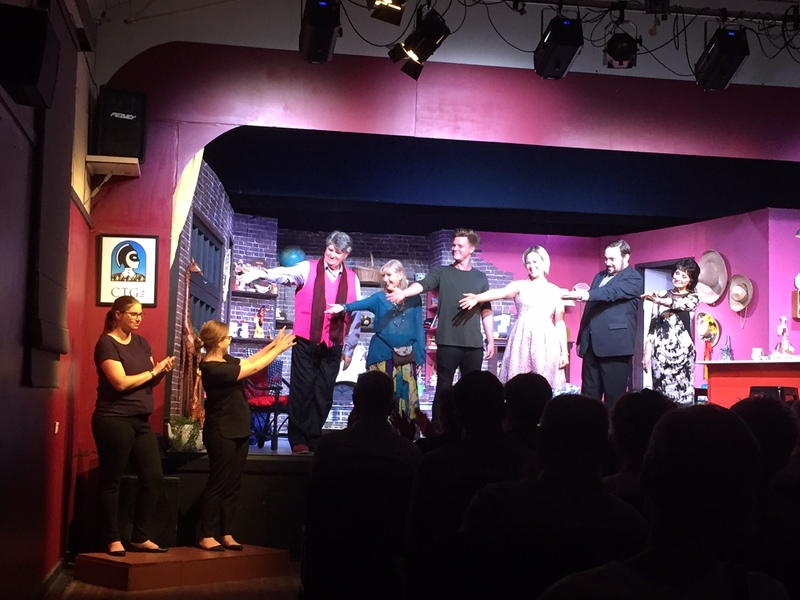 Was held on Friday 16 March, in conjunction with Auslan Stage Left. True Minds is a very wordy play, and is performed without an interval. The play goes for 1 hour and 40 minutes. Our interpreters on the night were Kahli & Sarah. They did a wonderful job — keeping up with the dialogue with style and elan. Kahli signed the men's roles, and Sarah the ladies. Their faces were gloriously expressive, and it was easy to see, if they were signing a conversation between two girls (or boys) which character they were signing. 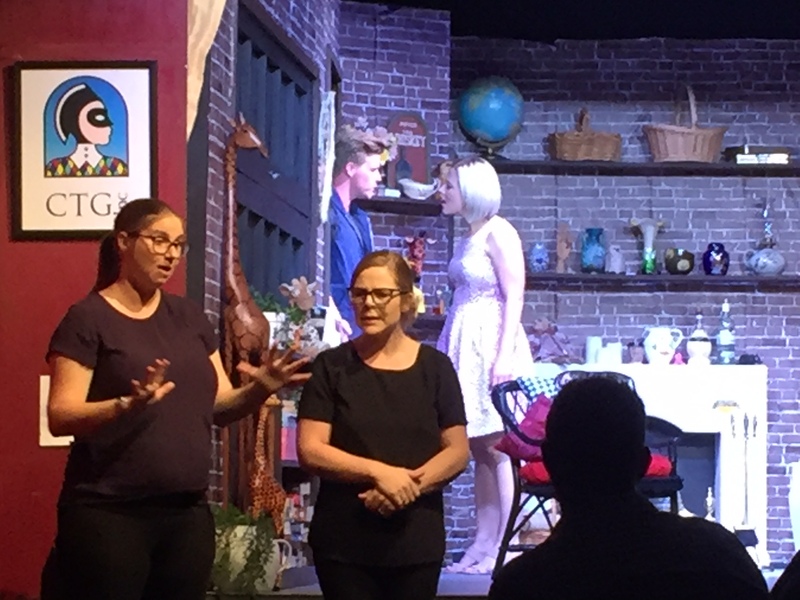 The CTG is very proud to be able to bring Auslan interpreted theatre to their audiences. It's an exciting new venture, and we look forward to many more — it's a very learning experience. Want to help behind the scenes with light and sound? Now’s your chance to find out what we have and how it works! Feel free to load software and bring your laptop, we will get practical and let you light up the room and try some audio. Session will be Moderated/Run by Brian Hobby who has been messing about with the technical side of theatre since high school which is longer ago than he cares to think about. Limited spots so register your attendance list quickly. 10am – 2.30pm — we’ll break for nibbles and discussion so bring something to share. 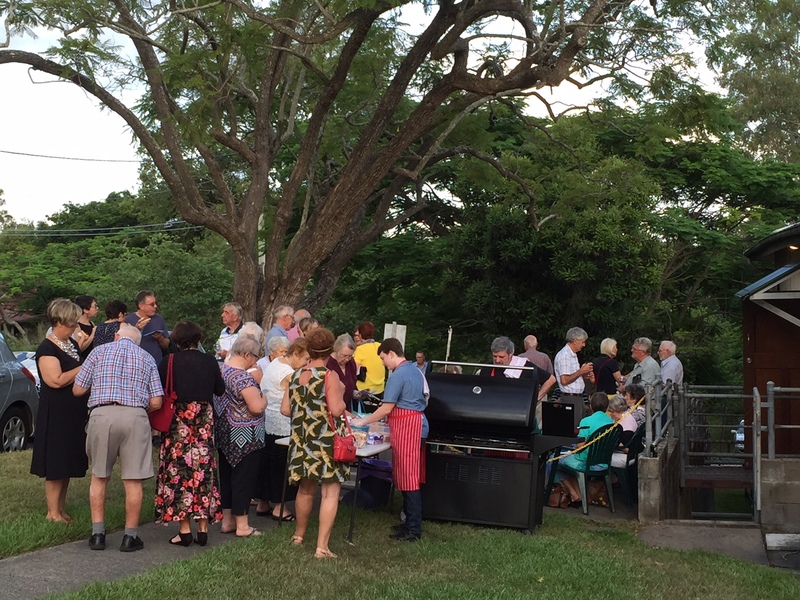 Did you know we hold a sausage sizzle at the first Sunday performance of each show? Well we do. 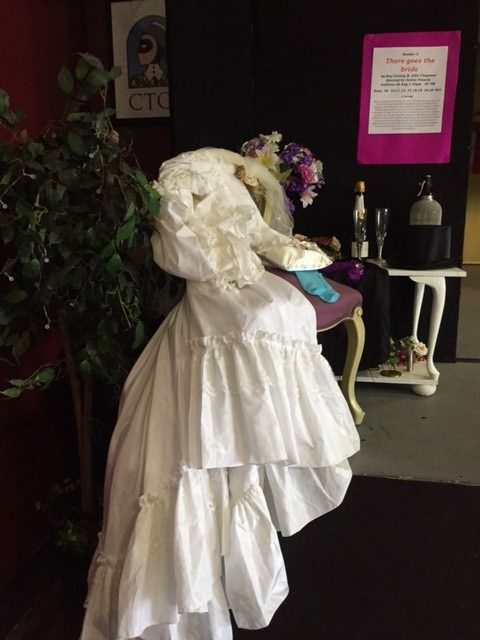 Have quick bite with your beverage of choice while waiting for curtain up. CTG will be launching its 2018 season on 10 December 2017 at 2pm. All welcome – drinks & nibbles provided. 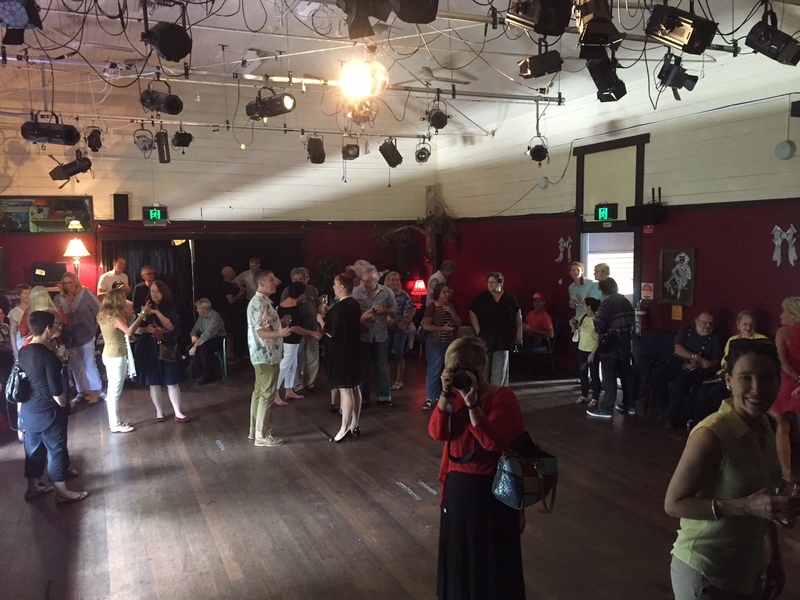 Past launches have been an occasion for catching up with theatre acquaintances and celebrating all that is good about community theatre.